Are you a fan of the charismatic Vijay? If yes then get ready to rejoice as we have some fabulous news in store for you. In a wonderful development, the Telugu dubbed version of his much-loved of his highly successful ‘Mersal’ is all set to finally hit screens on November 9. 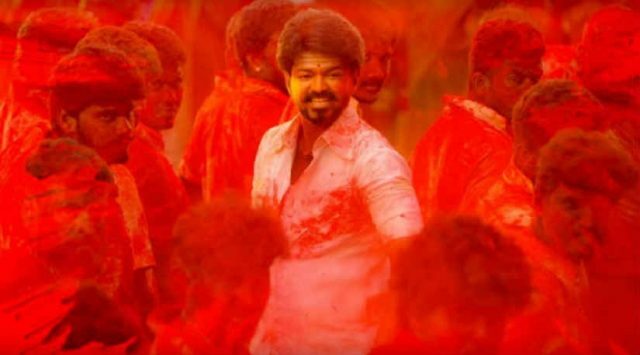 Titled ‘Adirindhi’, the Telugu version was originally supposed to hit screens last week but got delayed as it could not complete censor formalities. This had led to speculation of the delayed being linked to the controversial GST scene. However, CBFC chairperson Prasoon Joshi soon rubbished these claims and said the CBFC did not ask for any cuts. “So far, the filmmakers had not received any communication about the Telugu certification, so how can they accuse us of delaying the release of their film? This is not done. The film certificate has been issued for the Telugu dubbed version without any cuts,” he had added. In case you did not know, ‘Mersal’ is an action-drama and has been directed by Atlee. The original Tamil version hit screens on Diwali and opened to a thunderous response at the ticket window. Moreover, it received fairly positive reviews courtesy Vijay’s performance. Besides ‘Thalapathy’, it also features Nithya Menen , Samantha Akkineni and Kajal Aggarwal in the lead. On a related note, upon release, it received criticism from the BJP because of a scene that ridicules the GST scheme. However, at the same time, it also received support from stars such as Kamal Haasan and Vishal. So, did you like Mersal? Tell us in the space below.